The ‹S› and ‹G› are the most distinct. ‹V› has a flat base in the large text, but it’s pointy in the small text. 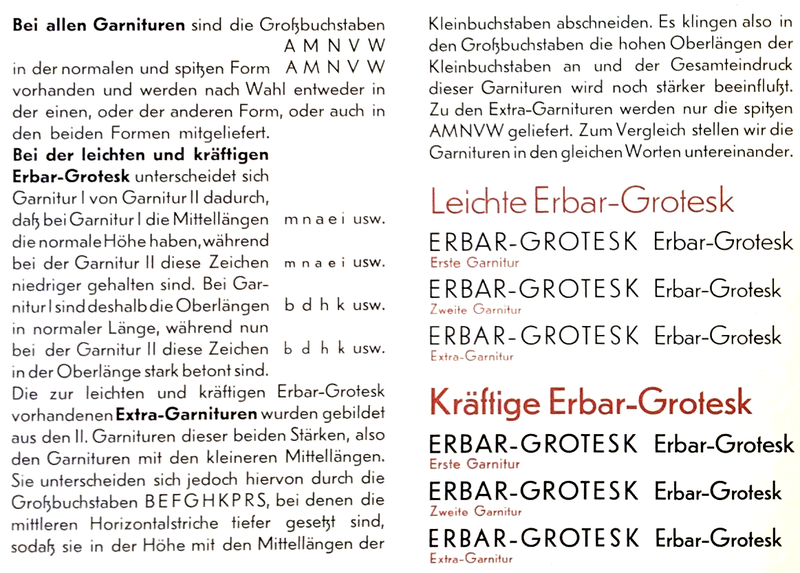 I think there are two typefaces here: Erbar for the large size, Futura for the small. I actually thought of Erbar, but the few pictures I looked at didn’t match the sample in some letterforms. I was unaware of the different sets of alternative characters, as shown in a specimen here. Thanks!